The Division of Student Affairs includes a variety of services ranging from those that directly supplement classroom learning to those which are aimed at helping students attain a holistic education and a healthy lifestyle. The goal of Student Affairs is a commitment to solving student problems and helping students become aware of services, activities and programs available to them. The staff in Student Affairs will assist in designing, developing, implementing and evaluating programs to expand the students’ personal development and enrich co-curricular opportunities. All Weber State University students are provided a Wildcat account that includes email. Many professors communicate with their students by email, so it is important for students to activate their accounts early on. Students must also activate their Wildcat account prior to online registration. This can be done via the Computing Support Services Website at weber.edu/eservices (visit any student computer lab to access the Internet). The Wildcard is available for students and their dependents and spouse. There is a $10.00 fee for each new card. Dependents and spouses of students also pay an additional activation fee per semester. There is a $20.00 fee for all replacements, lost or stolen Wildcards. See weber.edu/wildcard for more information. Hours: Monday through Friday, 7:00 a.m. to 4:30 p.m. Parking Services is responsible for issuing parking permits and regulating traffic, parking, and related campus matters. See weber.edu/parking for more information. Academic Support Centers and Programs (ASCP) offers an array of services designed to meet the individual needs of WSU students. These services include tutoring, testing centers, computer labs, and international academic support programs. Academic Support Centers and Programs (ASCP) offers an array of peer tutoring services designed to meet the individual needs of WSU students. Tutoring focus is on developmental and general education courses. The program is certified by the National Association for Developmental Education (NADE) and includes peer tutors certified through the College Reading and Learning Association (CRLA). ASCP strives to assist WSU students reach their academic goals by helping them become strong, independent learners. Supplemental Instruction (SI) provides opportunities for students to participate in learning teams where they explore concepts and solve problems through group discussion and interaction as directed by a student team leader who has successfully completed the course. SI student leaders work in collaboration with the course professor and SI coordinator. Student Support Services (SSS) provides opportunities for academic development, assists students with basic college requirements, and motivates students toward completion of their college degree. The goal of SSS is to increase college retention and graduation rates of its participants and to help students make the transition from one level of higher education to the next. The program is only open to students who have been admitted to, or are enrolled at, Weber State University, and are low-income, first generation college students, or have a documented disability. Student Affairs Technology manages WSU’s ten open student computer labs. These computer labs are meant to serve the general needs of all enrolled WSU students. Lab hours vary from lab to lab, but overall lab hours range from 6:30 a.m. to midnight and some labs are open seven days a week. Hours and software may vary in each location and semester. Please check Websites above for current information. The testing center offers a variety of standardized tests for the purpose of placement into appropriate courses, and admission to academic programs. Tests are also administered for various academic departments on campus and for Independent Study courses. Career Services provides Career Counseling and Employment Advising to individuals and groups through interest, personality and ability assessments. A career development class is offered to students in a traditional classroom setting and on-line. Help is provided with resume and interview preparation and networking strategies. The Career Center introduces students to employers through Career and Job Fairs and through employer information sessions during the year. Students can find part-time jobs on campus and full and part-time jobs off campus through Career Connect Career Services works with employers to develop internships and jobs through employer outreach efforts. Counselors provide students with graduate school information and a Graduate School Fair is held annually. Career Services is a key contributor to the next step success of Weber State Students. The Student Wellness program (located in the Wildcat Center, Room 210) provides evidence-based Health Education programming, services and resources to address eight interconnected dimensions of wellness: intellectual, social, spiritual, physical, emotional, environmental, financial and occupational. The program helps students develop healthy habits in all dimensions to facilitate their full engagement in the classroom, in their personal lives, and in their future careers. Individual consultations with a Certified Health Education Specialist are also available for assistance with most health and wellness concerns. The Counseling and Psychological Services Center (located in the Student Service Center, Room 280) provides high-quality, culturally-sensitive therapeutic treatment for students struggling with anxiety, depression, relationship problems, stress, grief, or other concerns. The center offers individual, couples, family, and group counseling, crisis intervention, psychiatric care, and outreach activities that help students overcome emotional barriers, improve coping, and achieve personal goals. The Office of Access & Diversity is a department that includes college access and outreach programs as well as student retention programs and initiatives that focus on increasing college participation for underrepresented students to pursue and successfully complete a post-secondary education and meets the mutual needs of the university, public school system and community. This office provides services in approximately 15 secondary junior high schools within Ogden, Weber and Davis school districts, as well as in their local communities. The Center for Multicultural Excellence (CME) empowers students from diverse backgrounds to help them engage, navigate, and connect with campus and community resources through retention specialists and a Peer Mentor Program. Our focus is to develop the knowledge, skills, and abilities needed to fulfill student career and graduation goals. Our study lounge with computers and free printing is available to all students. The Peer Mentor Program is located in the Shepherd Union, Room 232D. The unit focuses on creating a pathway for underrepresented students to go to college in collaboration with the local secondary schools. Within this unit, Student to Student includes college mentors, advocates and outreach tutors that provide college-readiness and access opportunities for under-represented youth through mentorship, advocacy, on-campus activities and college enrollment assistance. Historically underrepresented first year WSU students (first generation, ethnic minority, low-income) can connect and find support for a successful transition from high school to their first year of college. Students will get assistance completing enrollment, gain a sense of belonging, network with their peers, become engaged learners, and make connections to campus resources and information. These services are focused on increasing student retention and graduation. 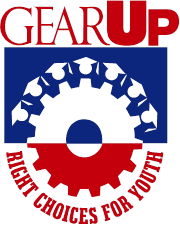 The Upward Bound program is a federal project that assists low-income, first generation students throughout high school in becoming academically prepared and mentally ready for entrance into post-secondary education with the goal of obtaining a Baccalaureate, or higher, degree. The Nontraditional Student Center (located in Shepherd Union, Room 322 and at Davis Campus, D2, 307) has a lounge, kitchen, computer lab, study area, and hourly childcare center (Ogden Campus only) to help meet the needs of students who are over 25, and/or married, divorced, widowed or a parent. Advisor and Peer mentors are available to help students navigate the campus and provide support to students academically and personally. The center strives to provide a supportive environment and remove barriers students may face while balancing school, family, home and work. The center offers scholarships and leadership opportunities. The Hourly Childcare Center (located in Shepherd Union, Room 322 E, inside the Nontraditional Student Center) is designed to provide flexible, hourly, or back-up care for the children of WSU students. Children ages two to nine years old may attend. A child may be at the center for a maximum of four hours per day, while parents are attending classes, using the computer lab, studying, or using other campus resources. There is a $15 application fee (one-time, nonrefundable). Applications are accepted on an on-going basis. The hourly rate is $3.50/ hour. Back-up care is based on availability. Students requesting accommodations due to disability should be referred to Disability Services. Based upon documentation of the disability, DS will authorize appropriate accommodations and SSD work closely with faculty and staff to ensure that any given accommodation is appropriate and necessary for the situation. Some examples of accommodations include the following: classroom interpreting for deaf students, alternative-format textbooks, Braille and large print materials for handouts and syllabi, test accommodations, adaptive technology, registration assistance and advisement. DS advises students on issues related to disabilities and higher education and provides priority registration for qualified students. Veterans Services (located in Annex 5, main floor) is the liaison between Weber State University and the U.S. Department of Veterans Affairs for educational benefits for veterans and dependents who are eligible for the G.I. Bill. In addition, Veterans Services provides a variety of support services to assist in making education a successful experience for veterans. The center also helps veterans and their dependents identify sources of support for their educational needs. Veterans Upward Bound (located in Annex 12) is designed to motivate and assist veterans in the development of academic and other requisite skills necessary for acceptance and success in a program of postsecondary education. The program provides assessment and enhancement of basic skills through counseling, mentoring, tutoring and academic instruction in the core subject areas. Veterans Upward Bound provides instruction in mathematics, English, science, foreign language, composition and literature and computer use. The project also assists veterans in securing support services from other locally available resources such as the Veterans Administration, state veterans agencies, veteran associations, and other state and local agencies that serve veterans. Other services include: Education or counseling services designed to improve the financial and economic literacy of participants; Instruction in reading, writing, study skills, and other subjects necessary for success in education beyond high school; Academic, financial counseling; Tutorial services; Information on postsecondary education opportunities; Assistance in completing college entrance and financial aid applications; Assistance in preparing for college entrance exams; Information on the full range of Federal Student financial aid programs and benefits. The Women’s Center programs and services are aimed at strengthening and improving the lives of WSU women, children, and their communities through empowering, advocating, educating, and increasing pathways to resources and leadership opportunities on campus and within the larger Weber and Davis communities. The Center offers practicum/intern and work-study opportunities, volunteer opportunities, individual consultation and advisement, scholarships, support networks, and referrals to campus and community resources. Contact us via phone (801-626-6090) or email (womenscenter@weber.edu) to schedule a Women’s Center social justice presentation for your class, club, or WSU community. The Safe@Weber Sexual and Relationship Violence Prevention and Advocacy Program supports a campus-wide response to issues of violence. It focuses on the prevention of violence by educating students on sexual assault, relationship violence, and stalking, and eliminating violence on campus. Safe@Weber provides free services and support to those affected by sexual and relationship violence, and stalking. Core services include safety planning, investigation advocacy, and supporting survivors in establishing educational accommodations. Leadership opportunities through Safe@Weber include the Safe@Weber Ambassador program, the Peer Educator Leaders program, internships and practicums. Contact us via phone (801-626-6090) or email (womenscenter@weber.edu) to schedule a Safe@Weber presentation for your class, club, or WSU community. Housing serves single students who choose to live on campus in a living/learning environment which includes peer counseling, social education, academic support, and planned activities. Housing is located in two distinct villages. University Village is comprised of 4-person suite style with kitchens, private bedrooms and 2 bathrooms. Wildcat Village, our newest on-campus housing offers single and double rooms in a suite style with 4 people per suite. Housing includes high speed internet, IPTV, fully furnished, fitness centers, laundry, and mail facilities. Wildcat Village also has a food service operation in the complex. With our Living/Learning Villages, Housing offers several opportunities for students to get involved. Resident Assistants (RA’s), Residence Hall Association (RHA), and Office Assistants (OA’s) work and/or volunteer in the housing community. The Department of Campus Recreation offers a variety of recreational opportunities throughout the Ogden and Davis campuses for users with an active WSU Wildcard. The staff strive to create opportunities that inspire engagement in healthy active lifestyles! Please check weber.edu/campusrecreation for facility hours, program information, and schedules. The mission of the Department of Intercollegiate Athletics is to support the greater mission of Weber State University in meeting the educational needs of Utah by stimulating and improving athletics programs for students designed to develop and promote skills that assure an excellent chance of success in athletics participation, college, and career. Student Involvement and Leadership is committed to enhancing student life by providing inclusive programs and leadership opportunities which promote education, engagement and development. SIL is committed to providing opportunities for all students in clubs and organizations, leadership workshops and programs, events and campus activities, the WSUSA Senate, service and civic engagement, and diversity programming. At Weber State University’s Diversity and Inclusive Programs, we are committed to providing access, building community, and educating each other about diversity issues while creating a learning environment that values inclusion, cultural competence, and intercultural sensitivity for all students, staff, and faculty. We are committed to the pursuit of learning from and with a diverse group that sometimes reflects who we are and sometimes does not in order to affirm the dignity of all people. The Diversity and Inclusive Programs strives to achieve these efforts by following closely along with the University’s Inclusivity Statement and Diversity Initiative. The LGBT Resource Center is committed to supporting students, faculty, staff and community members by providing information, resources and support to accommodate the needs of individuals in our community. Our goal is to create a safe and inclusive environment for the LGBTQ+ and ally community within the university through educational experiences, advocacy and support that promotes the personal, intellectual and academic growth of all students, faculty and staff. The LGBT Resource Center strives to achieve these efforts by following closely along with the university’s Inclusivity Statement and Diversity Initiative. The Center for Community Engaged Learning represents an intentional and strategic partnership between Academic Affairs and Student Affairs to facilitate a civically engaged experience for Weber State University students. The mission of the center is to engage students, faculty and staff in service, democratic engagement, and community research to promote civic participation, build community capacity, and enhance the education process. Students can participate in co-curricular service activities addressing environmental concerns, food security issues, lack of low cost housing, and mentoring youth through the Community Engaged Leaders program. Curricular service-learning, democratic engagement and community research experiences can be accessed in CEL designated courses (community engaged learning). Students can participate in political and non-political discussions, deliberations and projects addressing issues of public concern through the American Democracy Project or the Engaged Learning Series, which focuses on a different topic each year. Students engaged in significant service, democratic engagement, and community research for the community can be recognized at graduation for their important contributions through the Excellence in Community Engagement honor or WSU’s service-scholar program, Civitas. Scholarships and AmeriCorps membership offer students the opportunity to pursue their degree and a leadership experience while serving their community. Hall Endowment for Community Outreach Grants provide funding for faculty, staff and/or students engaged in community engaged learning projects throughout Ogden and the surrounding communities. Students may also receive recognition for his/her outstanding involvement in the community. The Office of the Dean of Students (located in the Miller Administration Building, Suite 317A) is committed to assisting each student to become a successful member of the Weber State University community. As a means of supporting this mission, the Dean’s office is responsible for Student Code of Conduct. The Student Conduct process is designed to assist in the development and education of students, promote mutual respect within the University community, contribute to maintaining a safe campus environment, and provide a process for tracking repeated incidents of student code violation. The WSU Student Code can be found online (weber.edu/ppm), WSU Policy and Procedures Manual section 6-22.